Huge and screaming brand logos seem to be current fashion trend but for Max Mara, the fashion brand stays true to its branding that is not only logo free, but an exemplary of a luxurious icon. 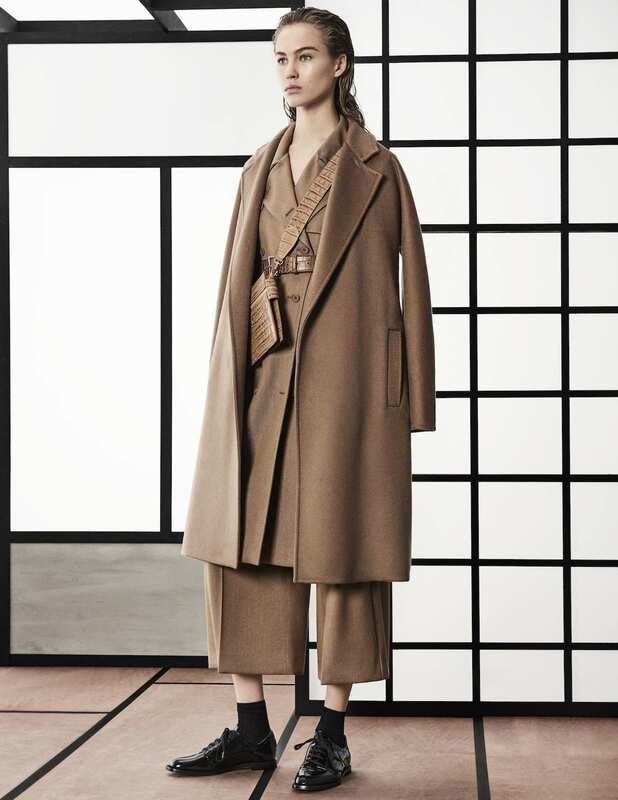 For its pre-fall 2018 collection, Max Mara presents a collection that aims to synthesize modernity and tradition, linking to its Japanese design aesthetics in a monochromatic ensemble. A mannish suit, a selection of streamlined jumpsuits and apron dresses are all styled and paired with wide shoulder straps with embellished D-rings, flat lace-ups, ankle socks and knitted gloves and beanies. The plan is to parade the brand’s now reworked iconic 101801 coat in brushed cashmere wool and classic shades of navy, camel and charcoal with nothing in the way of superfluous details, a perfect example that less is more.